Crypto News - The IMF and World Bank are Experimenting with Blockchain. Should We Be Worried? On the whole, it is a positive development that these multinational monetary mandarins are looking to close the knowledge gap that exists between these types of technology and the central banks, regulators, governments, and agencies that invariably are having to deliberate, enact, implement, and enforce policies related to digital assets. The IMF and World Bank are in fact joining a long list of central banks and other monetary authorities that have been researching and experimenting with blockchain and cryptocurrencies for years; Bank of England’s RSCoin, Bank of Canada’s Project Jasper, and the Joint Distributed Ledger research initiative of Bank of Japan and European Central Bank are notable examples. that disruptive technologies including cryptocurrencies are “shaking the system,” adding regulators do not want innovation that “shakes the system so much that we would lose the stability that is needed.” Even though Lagarde has been harangued for her remarks in many quarters, she has long encouraged central banks and their ilk to keep up with the tectonic shifts in the monetary landscape by examining digital currencies. Vous y allez, femme! According to my tedious research, a mere 273 meters separate the IMF and World Bank headquarters in Washington, D.C. Their spatial proximity, joint creation in 1944 at the Bretton Woods Conference, and close working relationship explain the tip-of-the-tongue twinning and interwoven billing both receive in casual and financial circles. 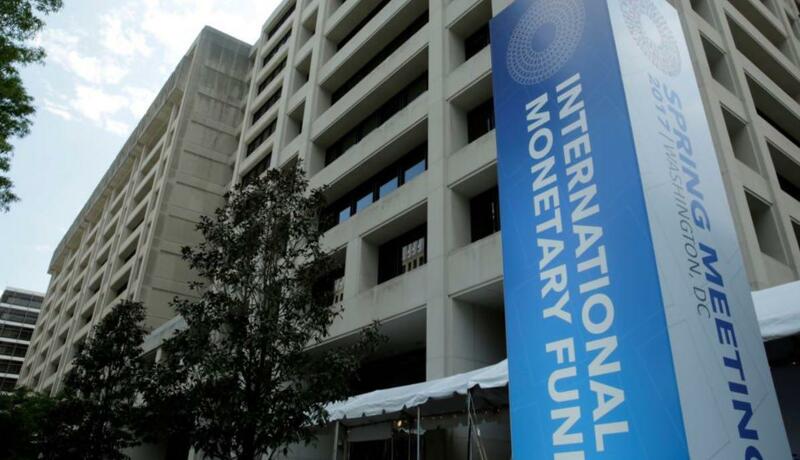 The IMF is largely in charge of overseeing the stability of the world’s monetary system while the World Bank in charge of poverty reduction by providing assistance to countries. Is it realistic to expect the International Monetary Fund or World Bank can one day embrace blockchain in a meaningful way? We should not get too far ahead of ourselves here, though. Much like every other multinational organisation, the IMF is subject to multipolar politicking and enhanced surveillance and data retention will not mechanically result in improved financial firefighting. Much of the interventionist-minded world was largely sidelined for years when the Stability and Growth Pact of the European Union was inconsistently applied and enforced. This infamously resulted in the troika of the IMF, European Central Bank, and European Commission having to facilitate the “Economic Adjustment Programmes” for Greece and others. No blockchain or cryptocurrency will supplant the institutional biases and inherent intransigence at an organisation like the IMF. Cryptoassets are the blockchain use case that garner that most public attention because they can be created outside the regulatory purview of governments and many of them are freely tradeable in the capital markets. Interestingly, the International Monetary Fund defines and creates a unique foreign exchange supplementary asset known as a Special Drawing Right (“SDR”) that serves as a unit of account for the IMF, and represents a claim to currencies held by IMF member countries for which they may be exchanged. The IMF allocates SDRs to member countries and SDRs are not spendable by private entities. The weights that are assigned to every currency in the SDR basket are intended to reflect their utility in international trade and national foreign exchange reserves. An enterprising use case for the IMF would be to figure out how to incorporate Special Drawing Rights – or at least some of the attributes and characteristics associated with them – into blockchain technology. One objective long championed by the IMF – reform of wholesale payments systems – can likely be addressed by blockchain and cryptoassets if scalability considerations and integration with real-time gross settlement systems can be reconciled. Turning to the World Bank, many criticisms are levied against it. First, the United States maintains veto power over the World Bank, thus how quickly and efficiently should we expect the World Bank to embrace and apply blockchain technology when US regulators are facing pressure from many quarters to modify their approach to cryptocurrencies? Second, the World Bank’s reform policies are often criticised for being enacted at the expense of sustainable growth. Third, governance issues abound, with many concluding the World Bank’s decision-making power is too concentrated among economically powerful countries. See criticism number one, above. Fourth, some observers conclude the World Bank’s lending programmes have resulted not in poverty reduction, but actually in an expansion of bureaucratic state power. Collectively, these realities or perceptions of reality may inhibit widespread adoption of blockchain technology by the World Bank. An interesting idea related to blockchain that the World Bank should explore is the use of digital assets to reduce poverty, improve liquidity, and catalyse economic and financial activity in many impoverished areas where it aspires to reduce poverty. Many of these areas and countries have adopted mobile money solutions – à la M-Pesa – as successful proxies to legacy fiat currencies. The fintech industry spends incalculable amounts of time trying to address solutions for these so-called bottom-of-the-pyramid consumers, and blockchain technology can positively contribute to the innovative paytech solutions that originate in the areas – innovation that sometimes outpaces the kind seen in more mature economies. Application of blockchain technology and cryptocurrencies by the International Monetary Fund and World Bank is likely to be slow and methodical at best. The current initiative to close their institutional knowledge gaps is commendable, but when is the last time a Washington, DC-based institution has shown it can distribute trust and achieve consensus on what the canonical truth actually represents?